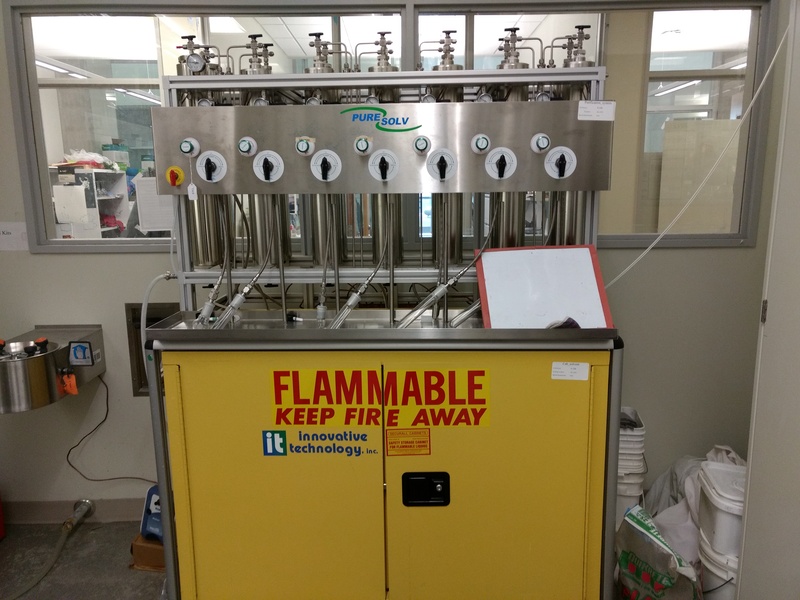 Our lab is fully equipped for air or moisture sensitive synthesis. 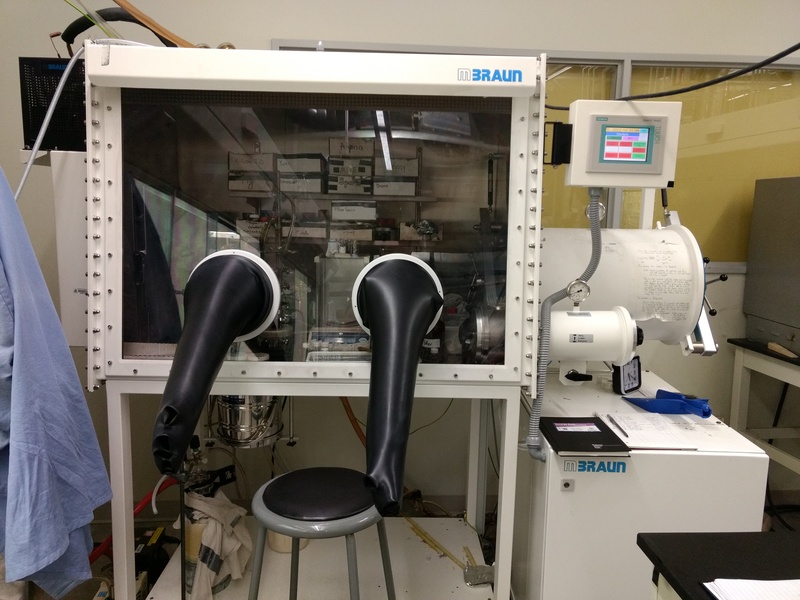 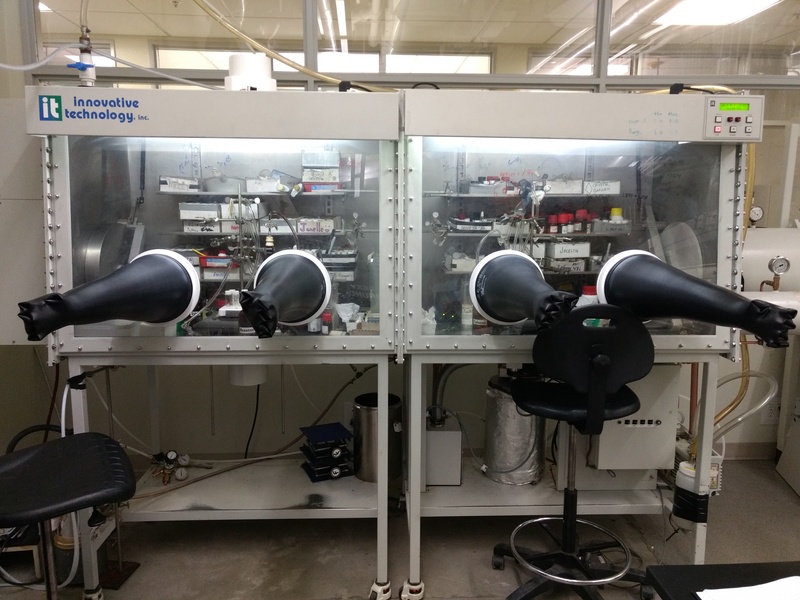 Every fumehood has a vacuum/nitrogen manifold and we also have a single and a double glove box for work under inert atmosphere, in addition to a solvent system to keep solvents dry (see photos below). 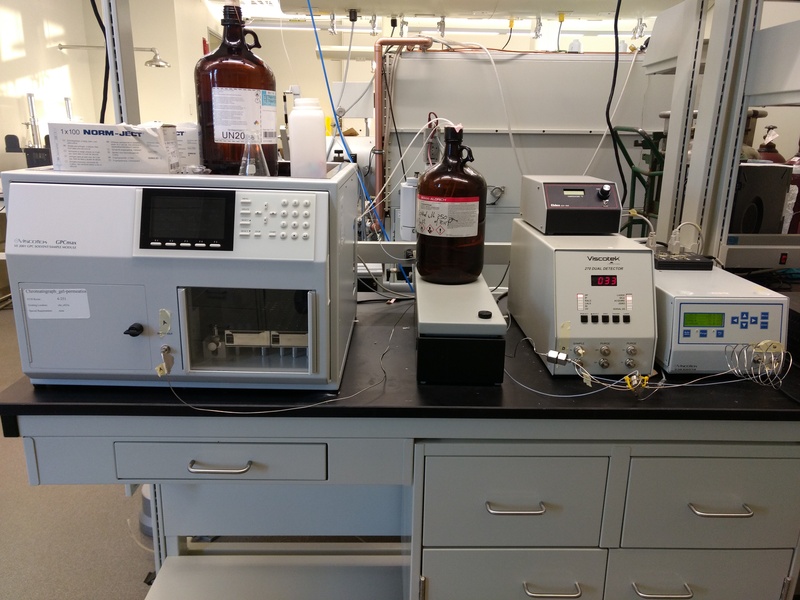 To support our work with polymers, we have a GPC equipped with an auto-sampler and a multi-detector system (RI, LS and viscometer).